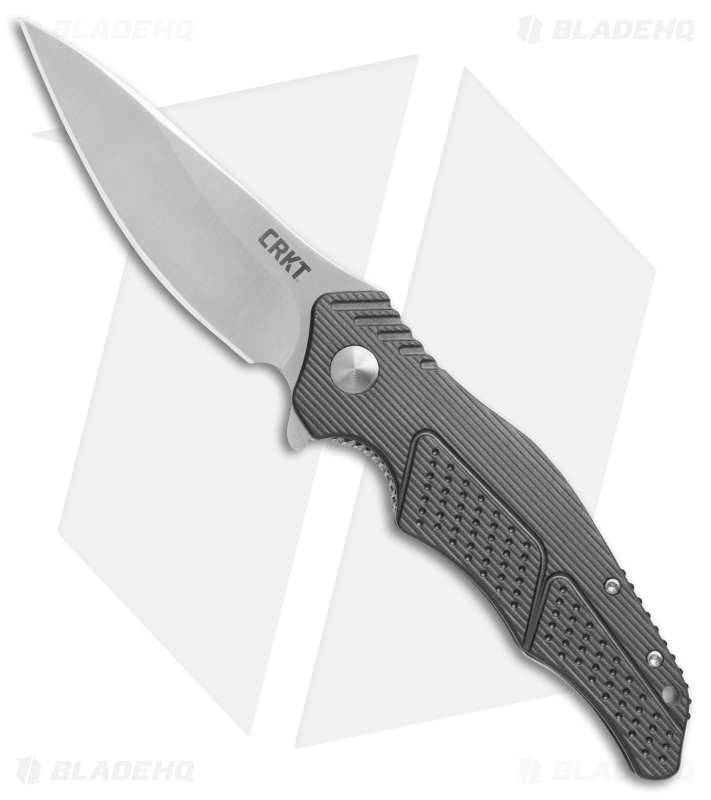 This Outrage model is a CRKT factory second with a gray handle and a satin finished blade with a plain edge. Ken Onion has designed a number of spectacular knives with awards to back the claim. The Outrage is the next great design, with Ken's signature curves and grace. 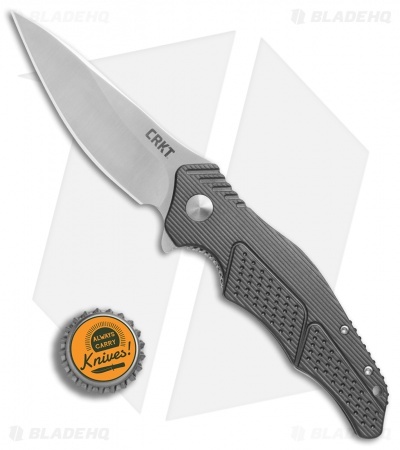 It has a sweeping drop point blade with flipper opener and a smooth IKBS ball-bearing pivot. The 6061 aluminum handle is gunmetal gray with a milled and contoured surface. 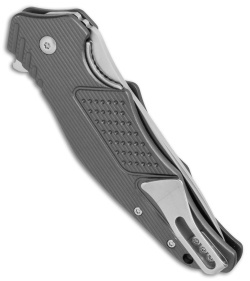 Set inside the handle are nested stainless steel liners and a lock tab. 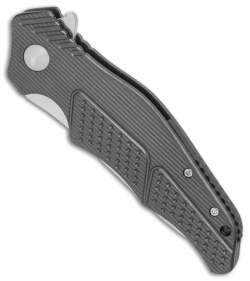 Pocket carry is tip-up with the short, deep carry clip.